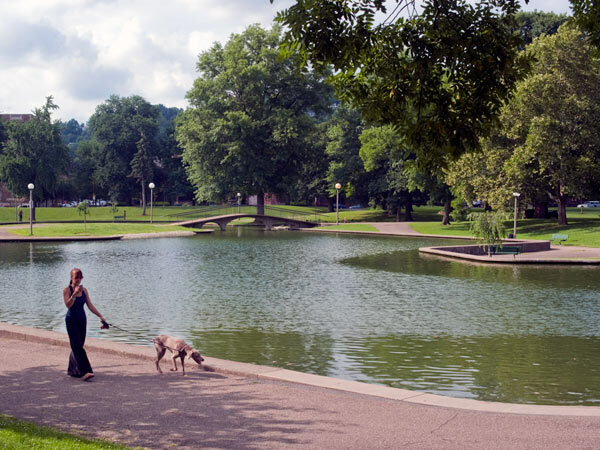 Established in 1783 as a 102-acre communal grazing area within the gridded plan of the Town of Allegheny, these commons on the north bank of the Allegheny River are Pittsburgh’s oldest park. 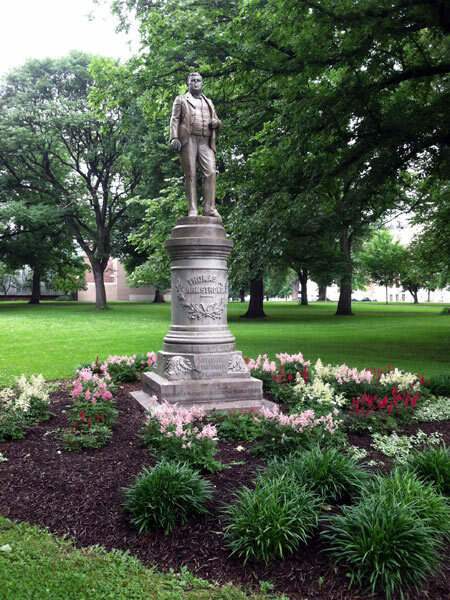 The West Common was developed in the 1820s and occupied by the Western Penitentiary, a Presbyterian Theological Seminary and the Western University of Pennsylvania. The space was also used as a camp for Union soldiers during the Civil War. 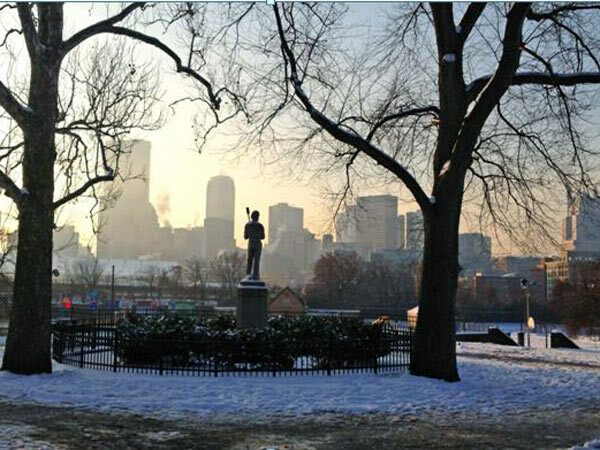 After the war, the city hired Mitchell & Grant to redevelop the entire commons as a picturesque public park. 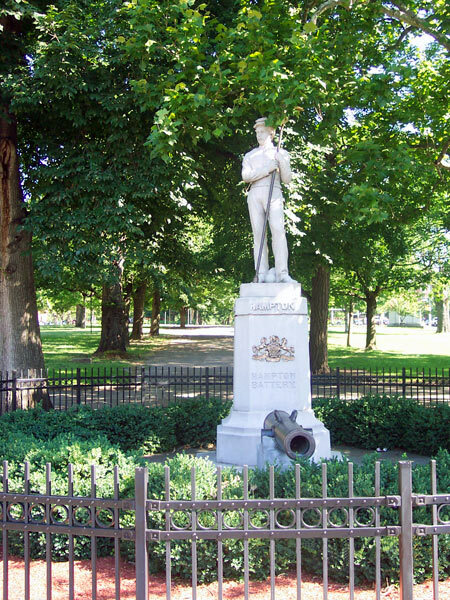 The plan included a carriage drive, tree-lined footpaths, several Civil War monuments (including the Hampton Battery, the Soldier’s Monument, and the USS Maine Memorial), ornamental plantings, and Lake Elizabeth. 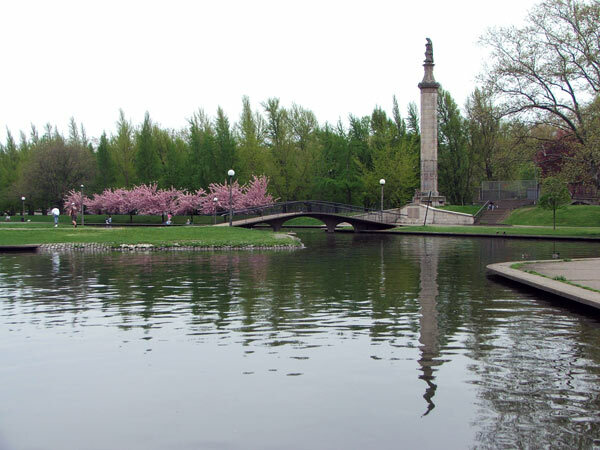 A public garden with a broad, central allée and flower parterres was designed for the East Common. The Northeast Fountain was also created at this time; it was later demolished but is part of a 2002 restoration master plan. In 1887 Henry Phipps donated a plant conservatory which in 1952 became the Aviary. 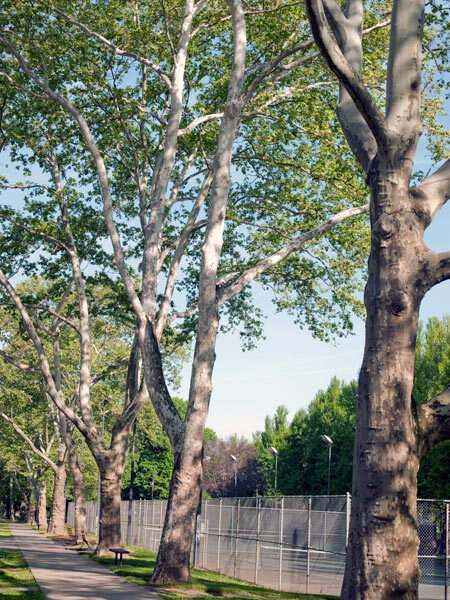 By the mid-twentieth century, recreational facilities were constructed, including a playground and swimming pool. 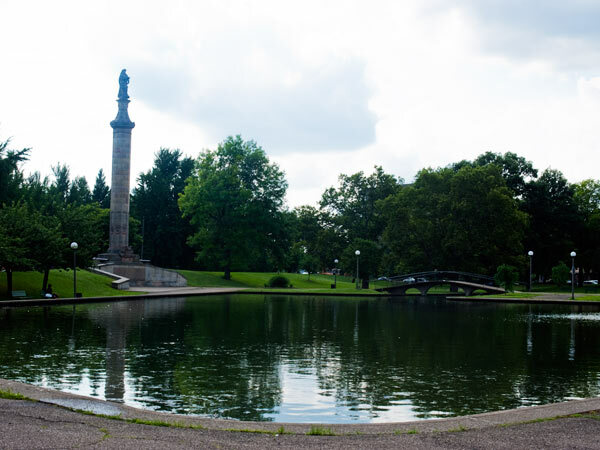 With an urban renewal project for Allegheny Center, the Lake Elizabeth area was redesigned in 1966 by Simonds and Simonds, with a Modernist trapezoidal edge to the lake and improved circulation with new pathways and bridges. 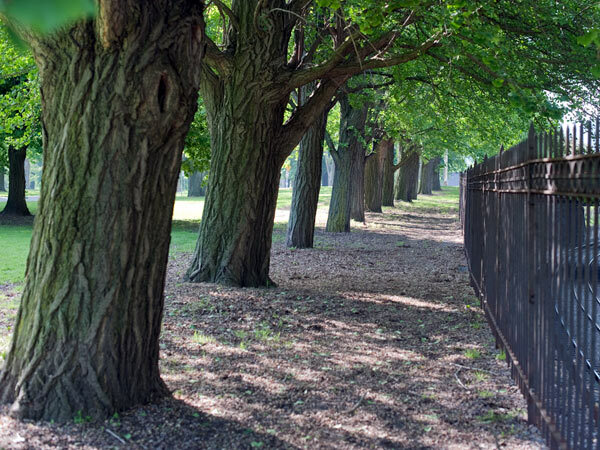 Today, the 60-acre commons’ northern and eastern sections retain the original nineteenth-century design, with symmetrical paths flanking a central walk and mature trees planted throughout. It was listed in the National Register of Historic Places in 2013.